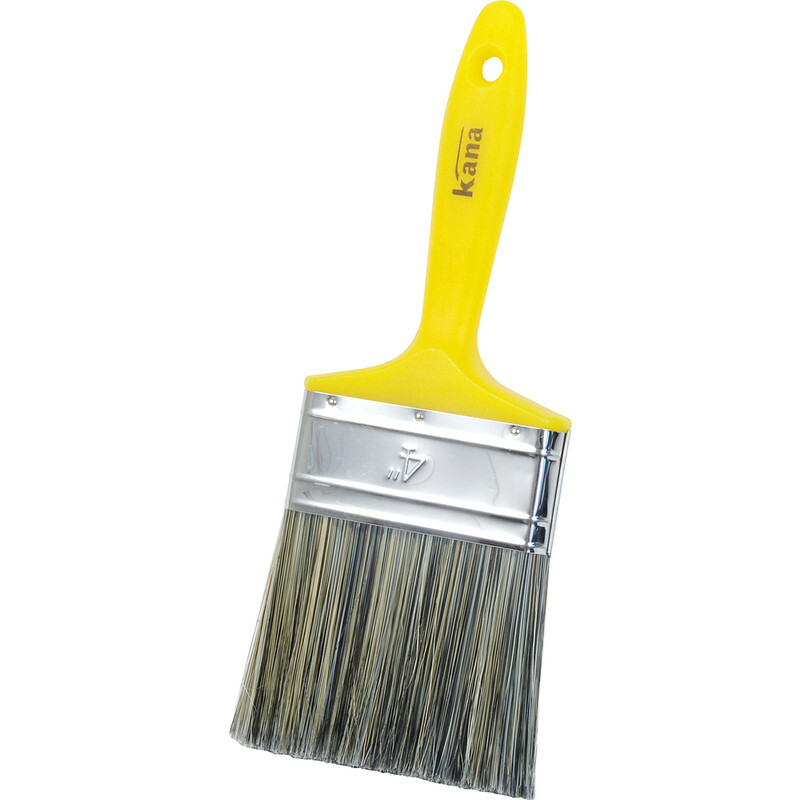 Kana Contractor Masonry Paintbrush 4"
Tough stiff brush ideal for external masonry paints. Kana Contractor Masonry Paintbrush 4" is rated 4.1 out of 5 by 15. Rated 5 out of 5 by Marius123 from Strong and reliable Bought to paint the floor and walls of the cellar with waterproof thick paint. Rated 4 out of 5 by virgil from Does the job OK I'm using it to paint my external walling. Loses a few hairs but it does the job OK plus the price was right so I would buy again. Rated 5 out of 5 by Soloman from Bought for painting fence Bought to paint the fence, does the job great. Rated 4 out of 5 by Rhino33 from Good masonry brush This is a good brush and used it with a number of things including pva solutions; cleans up well. Rated 1 out of 5 by Kush from Brisles coming out Not a good quality as loose brisles and not holding paint. Best to use natural brisles brush.